The biggest waves used to be called the Unridden Realm. But the term no longer applies—these days, big wave riders are pushing the limits of the possible in the most powerful surf the oceans can offer. Collaborating with a select group of Patagonia field testers, our R&D team has developed the Portable Self-Inflation (PSI) Vest to meet the need for increased safety in high-risk situations. Supporting multiple rapid inflations, compatible with a range of different wetsuits and featuring a release valve for quick deflation in the water, the PSI Vest is a pioneering, purpose-built tool for use in the most critical surf conditions. After extensive development work, we circulated prototypes of the PSI Vest for water trials, and our testers are currently putting them through extended use in big wave sessions around the world. 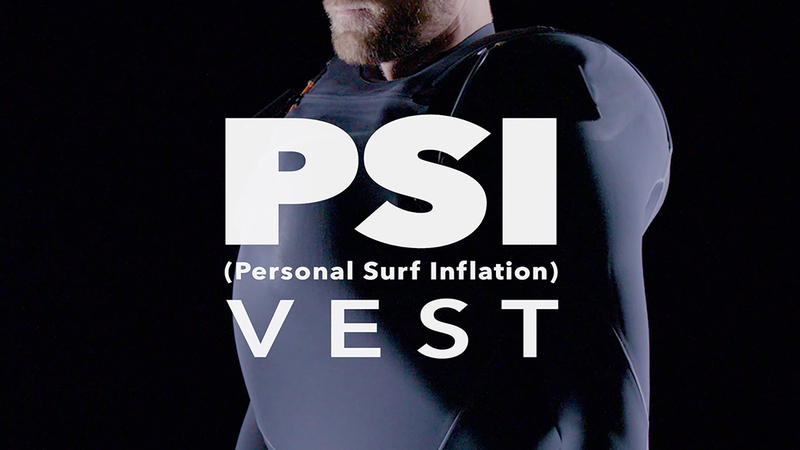 Though the PSI Vest has received significant coverage in the surf media, our assessment process is ongoing and the vest is not yet available for commercial sale. The testing process for the PSI Vest has been a lengthy one, because it's essential that we make the safest and most reliable vest we can. When the buoys are maxing, safety is the first priority—that's why we're staying committed to a slow-but-thorough approach.